Each year, the U.S. Small Business Administration (SBA) helps more than 200,000 veterans, service-disabled veterans, and National Guard and Reserve service members, and military spouses start and grow their small businesses.? The SBA will be adding six Veterans Business Outreach Centers (VBOC) to the existing 13, bringing the nationwide total to19. Each VBOC will provide entrepreneurial training, comprehensive business assessment, and mentoring to active duty service members, veterans and service-disabled veterans, National Guard and Reservists, and military spouses interested in starting a small business. VBOC locations were selected based on “Boots to Business” program demand, military installation, and transitioning population data. 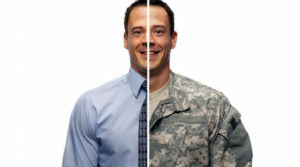 VBOCs support transitioning service members as they begin self-employment or entrepreneurship. 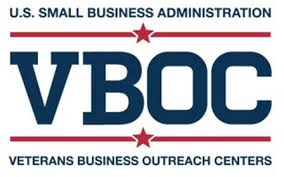 Part of the VBOC funding is used to cover costs involved in doing outreach to increase participation in the Boots to Business entrepreneurship training program on military installations in the U.S. and its territories. Veterans business development is available in each state at SBA District Offices and at VBOCs located throughout the U.S. To learn more about additional opportunities for veterans available through the SBA, visit www.sba.gov/vets. VBOCs assist clients in developing and maintaining a five-year business plan. The business plan includes such elements as the legal form if the business, equipment requirements and cost, organizational structure, a strategic plan, market analysis, and a financial plan. Financial plans include financial projections, budget projections, and funding requirements. VBOCs also provide assistance and training in such areas as international trade, franchising, Internet marketing, accounting, etc.